Do we have a good one for you today – the Samsung Galaxy S9 goes head-to-head with the new LG G7 ThinQ. Does the Galaxy S9 still have what it takes to beat out the newest device from LG? Is it time for Galaxy S8 and LG G6 owners to upgrade? These are the questions we will try to answer in this comparison. Both devices look the part of a flagship smartphone with their extended aspect ratios and small bezels. Pricing is about the same for each device, so we can take that out of the equation. With so many specifications the same, it will have to come down to brand, design, and individual features. The Samsung Galaxy S9 and the LG G7 ThinQ share a few things in common, beginning with their close to physical size and weight. Immediately our thoughts turn to the Snapdragon 845 processor and Adreno 630 GPU for outstanding performance and graphics as well as 4GB/64GB of RAM and storage, and both devices are expandable. While they differ in display technology, the displays are close in size, they both share a QHD+ resolution, a 18.5:9/19.5:9 aspect ratio, an Always-On display, and Gorilla Glass 5 for protection. Both have excellent camera areas, but the G7 ThinQ uses a dual camera setup while they both use an 8-megapixel front-facing camera (FFC). A 3,000mAh capacity battery provides the power for each device and both enjoy fast charging and wireless charging. They have the usual WiFi, Bluetooth v5.0, NFC and a Type-C port for charging and data transfer. Both have an IP68 certification, Hi-Res audio, 3.5mm Headphone jacks, facial recognition, rear-mounted fingerprint sensors, and Gorilla Glass 5 for the back. 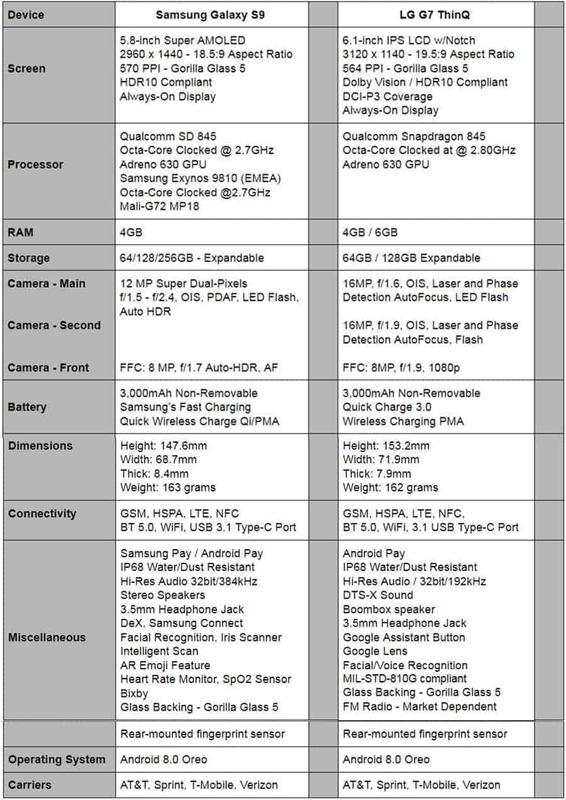 Please take a careful look at the detailed specifications comparison chart below and here you will see just how these two high-end smartphones stack up against each other. After that, we will look at each mobile offering in more detail and point out some of its pros and cons. From all of this information, we will try to determine the winner based on overall specs, as well as the execution of design and functions. The Samsung Galaxy S9 series is their flagship line of devices. You won’t find any notches here, but Samsung did follow the Apple cart by including two models, requiring you to purchase the S9 Plus model to get the extra 2GB of RAM, larger display, and dual cameras. 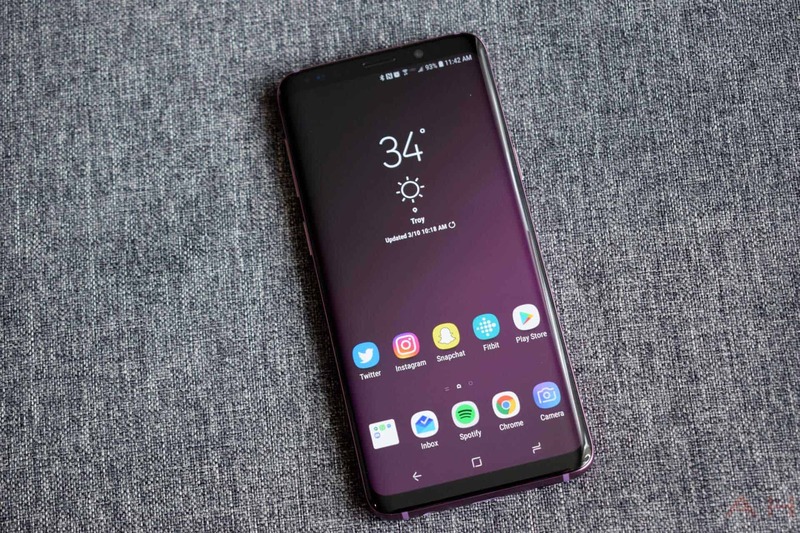 The Galaxy S9 does come with just about every other feature – the new processor/GPU, Hi-Res audio with stereo speakers, and the new 12-megapixels using Super Dual Pixels with Adaptive Aperture. Samsung moved the fingerprint sensor from the side of the camera to below the camera lens for less smudging, but it could still be moved further away. Samsung also added AR Emoji for fun and Intelligent Scan (iris + facial recognition working simultaneously) for more accurate and faster authentication. The Galaxy S9 sports a 5.8-inch Infinity Display with an 18.5:9, which is great for media activities and multi-window tasking. It uses the QHD+ technology that provides a 2960 x 1440 pixel resolution with 570 pixels-per-inch (PPI). Samsung included the Always-On feature that makes it easier for the user to glance at their notifications, and open them only if you want to read the entire notification – this will help save battery life because you are not turning on the phone each time a notification appears. 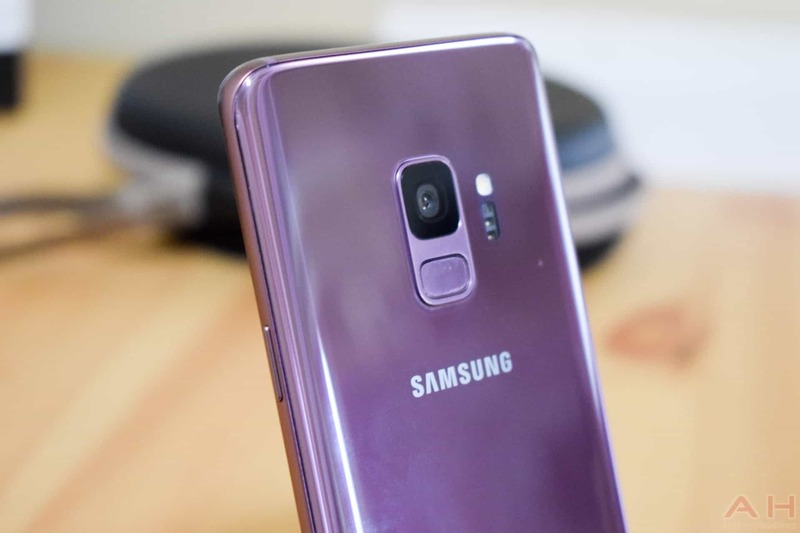 The design changed slightly on the Galaxy S9s with less of a curve than their predecessor in an effort to make it easier to pick up and hold the device in your hand without activating an app on the display. Gorilla Glass 5 protects the display. The Galaxy S9 models come in two variations. The US/China version uses the newest Snapdragon 845 octa-core processor clocked at 2.7GHz with an Adreno 630 GPU for outstanding graphics. Models sold in the EMEA countries use Samsung’s own Exynos 9810 octa-core processor clocked at 2.7GHz and a Mali-G72-MP18 GPU. Either processor is comparable in performance. Both models pack 4GB of RAM and a base of 64GB of expandable storage. Samsung will also manufacture the S9 models with 128GB or 256GB of memory, but again, it will depend on where you live and which carrier you use. The camera area of the Galaxy has only one lens, but what adds real excitement is the design of its aperture. It uses a 12-megapixel Super Dual Pixel for its camera, but for an exciting new piece of technology called Adaptive Aperture that works like the human eye’s iris. When the camera senses a bright light situation, the aperture will reduce itself to f/2.4, but when the camera senses a lowlight situation, it will open wider to an f/1.5 aperture. It also uses Phase Detection Auto Focus (PDAF), OIS, 10x Digital Zoom, and an LED flash. Samsung did not skimp on the 8-megapixel FFC with its large aperture of f/1.7, auto-HDR, and even has its own autofocus. Samsung carried over the same 3,000 mAh capacity battery from the one used in the Galaxy S8. Samsung’s Adaptive Fast Charging or quick wireless charging for both Qi and PMA formats will quickly charge your Galaxy S9. The battery should last the average user an entire day, but for those heavy users, Samsung will make sure your Galaxy S9 will be charged up in no time. Over the years, Samsung flagships pack a mired of apps and exclusive features – some you will use and others many users never explore. You will find Samsung Pay, Samsung’s personal assistant Bixby, and their new Intelligent Scan that uses both the iris scanner and facial recognition for a more secure way to identify you. To use with their Samsung Health app, you get the heart rate monitor, the O2 sensor, and added a new blood pressure monitor, which is an industry first. Samsung continued the IP68 certification for water and dust resistance, but this year’s announcement has to go to the stereo speakers, which are long overdue. The new AR Emoji feature that is trying to mimic iPhone’s twist on a self-emoji is a fun addition, but needs some work. Samsung’s DeX module (sold separately) is new and improved for 2018. The Galaxy S9 is available in Midnight Black, Coral Blue, Titanium Gray, Lilac Purple, Burgundy Red, and Sunset Gold depending on your market and carrier, and comes with Android 8.0 Oreo running out of the box. The device measures 147.6 x 68.7 x 8.4mm and weighs in at 163 grams. It is retailing from $750 to $800, but there are quite a few BOGO promotions going on at dealers. “ThinQ” is the new buzzword floating around LG and their new devices – possibly a means to distract the user that very few changes were made in 2018. They made the G7 ThinQ slightly taller and more narrow, giving the LG G7 ThinQ a more modern look. LG still uses the LCD display technology, but kept the handy Always-On feature. LG did increased the megapixel count on its dual camera setup, but for some reason, LG decreased the wider angled lens on the secondary main camera. Another question LG needs to answer is why did they include an Apple notch in the display? LG still uses a QHD+ resolution IPS LCD display with 3120 x 1440 pixels and a density of 564 PPI – the same as its predecessor, the LG G6. LG did increase the display size from 5.7-inches to 6.1-inches with a 19.5:9 aspect ratio. This taller and narrower ratio helps when viewing entertainment content like movies or games and also in multitasking. LG calls their display, FullVision, to compete against Samsung’s Infinity Vision. Gorilla Glass 5 protects the display, as well as the back of the device. The Always-On floating display is used for notifications and to save battery life. The new display can go up to brightness up to 1,000 nits – it can hold that brightness for 3 minutes before dropping back down in an effort to save battery life. The LG G7 ThinQ uses the best processor available – the Qualcomm Snapdragon 845 and an Adreno 630 GPU – this allows for a fast and smooth experience and unparalleled graphics. The SD845 is an Octa-Core processor clocked at 2.8GHz, supported with 4GB of RAM and 64GB of expandable internal memory, although LG also offers a model with 6GB RAM/128GB of expandable memory. LG decreased the battery capacity from 3,300mAh to a 3000mAh, but retained Quick Charge 3.0 and wireless charging. The LG G7 ThinQ dual cameras include a set of 16-megapixel sensors – the primary camera has a large f/1.6 aperture, Laser and PDAF, OIS, and LED flash. The secondary camera can be used for group pictures or a landscape shot because it does have a slightly wider angle, but has a smaller f/1.9 aperture. LG did pay attention and upgraded the small FFC of only 5-megapixel with a small f/2.2 aperture to a much larger 8-megapixel sensor with a larger f/1.9 aperture for selfies and video chatting. I am not sure what caused the pioneering company that came out with the module LG G5 to copy Apple with their notch in the G7 ThinQ’s display. LG included a useless notch on their display, but then took away the on/off capability of the fingerprint sensor, and decreased the angle width in their secondary camera. LG did use Gorilla Glass 5 all around and they did kept the 3.5mm headphone jack so the user can easily have access to the virtual surround sound. LG reconfigured the single bottom speaker so that it will resonant throughout the smartphone’s chassis to give you what LG is calling Boombox sound. LG bumped its Bluetooth to v5.0 and the built-in NFC will allow you to perform Android Pay mobile payments. Android 8.0 Oreo comes on the LG G7 ThinQ out-of-the-box. The LG G7 ThinQ measures 153.2 x 71.9 x 7.9 mm, weighs in at 162 grams and comes in Platinum Gray, Aurora Black, Moroccan Blue, Raspberry Rose and it will cost you about $750 for the 64GB model. I tried to justify going with the newer LG G7 ThinQ as the winner of this comparison, but the Samsung Galaxy S9 just has too much in design, options, and pricing not to go with the Galaxy S9 as the winner. The Super AMOLED display is arguably the best that a smartphone can offer. It uses the same SD845 processor and Adreno 630 GPU and the same base 4GB of RAM and 64GB of expandable memory. 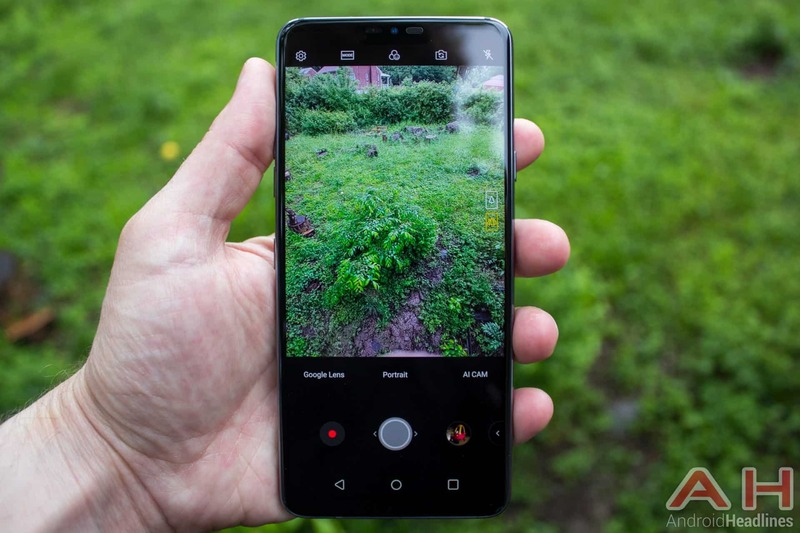 While it is true that the G7 ThinQ uses a dual camera setup, the Galaxy S9 has an adaptive aperture, takes great pictures, and both use the same size 8-megapixel FFC. Both use the same size battery and offer wireless charging, but only the Galaxy S9 offers quick wireless charging. You get the benefits of Samsung Pay, higher res audio with stereo speakers, Samsung DeX, Intelligent Scan, AR Emoji feature, heart rate sensor, SpO2 sensor, blood pressure monitor, and Bixby. With the LG G7 ThinQ, you may get dual cameras, but they take no better pictures. You also get LG’s Boombox speaker – one speaker that resonates throughout the device, but is that better than stereo speakers? You also get a device that is MIL-STD-810G compliant, but most users encase their device with a protective case. If the G7 ThinQ was cheaper than the Galaxy S9, I might jump onboard, but as it is, I am sticking with Galaxy S9 as the winner. The post Phone Comparisons: Samsung Galaxy S9 vs LG G7 ThinQ appeared first on AndroidHeadlines.com |.